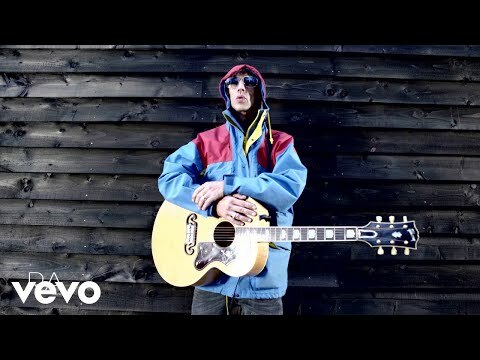 Richard Ashcroft hasn't changed much since I last met with him when his solo album Keys To The World was released in early 2006. His jacket is probably new and he has a cold which causes his voice to dry up (he swigs regularly from a bottle of water throughout our chat) but nothing in his face says that he's a different man, except.... ....except that we're here to talk about the return of The Verve. They rise again! I love rewriting rock and roll history," he says clearing his throat. "I love it when you go into Waterstones and look at those massive, factual, coffee table books and it's the latest edition with a description of us in it and you think 'Great, I've just made them have to re-write it again!" Roundly welcomed at Glastonbury Festival and with their new single Love Is Noise all over the radio, you might think that Ashcroft would bound into the room and do a little celebratory jig. He doesn't. It becomes clear that no-one in The Verve (Mark III) is taking anything for granted. Reading between the lines, both Ashcroft and guitarist Nick McCabe - who I interview later, separately - seem anxious to avoid the pressure of being a couple who have got back together again. "We've had a lot of time to think about things, but hopefully we're older and wiser, and it just seemed to me that I put a huge chunk of my life into this and there is no way that I would turn my back on it if there was ever a chance of it working again." "Obviously there's baggage and things that you've got to sift through," is the way Ashcroft had put it earlier. "It's not some Mills & Boon scene running down the beach as the sun sets. But it is the case that these four people make a unique sound together." And he's not wrong. No-one but them could make a record that sounds like the new Verve album (and I think we know that people will try). A more spacious and atmospheric album than Urban Hymns, the new album Forth, wanders back towards their debut record A Storm In Heaven - a place where Ashcroft's modern fables and questioning lyrics ease their arm around McCabe's instinctive and experimental guitar sounds. This time it really does feel like they're starting over. Ashcroft says it was never their intention to make Urban Hymns 2, while McCabe shrugs and says that whatever happens they've "made the record we wanted to make." He gives the look of a man about to add "and if that's commercial suicide, then so be it!" But even if that were the case, Forth is a genuinely valid addition to their CV. It sounds very true to the group's pre-Hymns era, a very natural meeting of minds, which has benefited from their individual work over the past decade. Bassist Simon Jones and drummer Pete Salisbury - collectively the Derek Smalls to the others fire and ice - enthuse about the recordings. Much of the album was the product of the initial two weeks jamming together. "The first time we all met was actually in a studio," says Jones. "And all our gear was set up so, you know, that was a thrill in itself. It was just like right, this is what we do and it sounds amazing. To still have that chemistry...."
And so what we get is a hulking new, sometimes bewildering Verve record which is darker and deeper than Urban Hymns, but not as trippy as Storm In Heaven or as manifesto-led as A Northern Soul (even if one of my favourite tracks at this point, I See Houses, returns to similar themes). Love Is Noise is the biggest groove, the biggest hook on the album, although it was actually built round a loop which Ashcroft lifted from another of the tracks on the record called Columbo. Rather Be, has a lovely lilting line from McCabe, and could be a single (it sounds like a collective sigh of relief); Valium Skies veers close to their version of a psychedelic love song; and the eight-minute Noise Epic is in McCabe's word, their 'Frankenstein' creation. In other band's hands it would be a nonsense and it's dangerously pompous in places, but it's worth it for the climax alone where Ashcroft lets go and from nowhere looks you straight in the eye with the words "Wake Up, Wake Up, Wake Up." In this age of three-minute wonders, is there a place for The Verve, particularly this version of The Verve? We shall see in the next six months - the album arrives mid-August - but I for one would hope so.